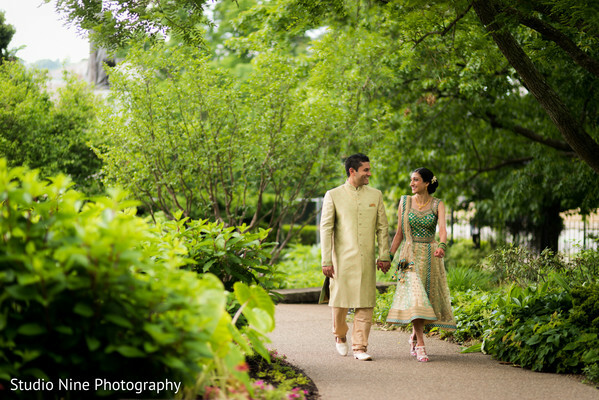 Get ready to be bathed in whimsical charm with Smita and Vikrant’s stunning Indian wedding out of Pennsylvania. 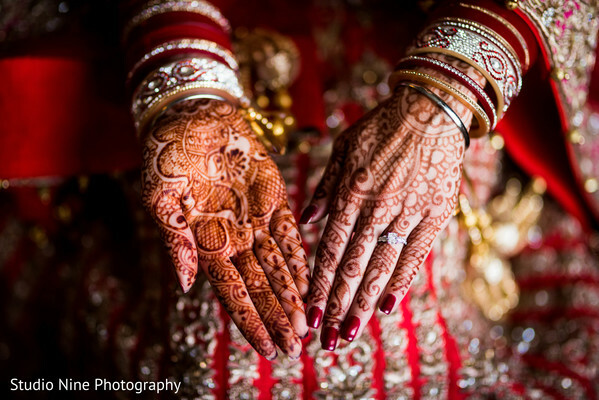 Such a wedding extravaganza can only call for stellar wedding planners and Divine Celebrations Events truly are masters at their craft. 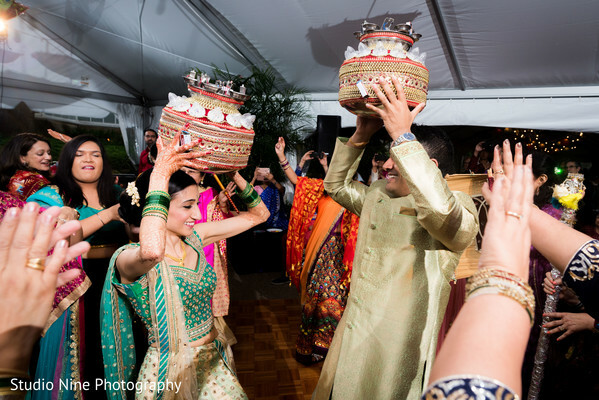 The festivities kicked off with a festive sangeet at the Phipps Conservatory. 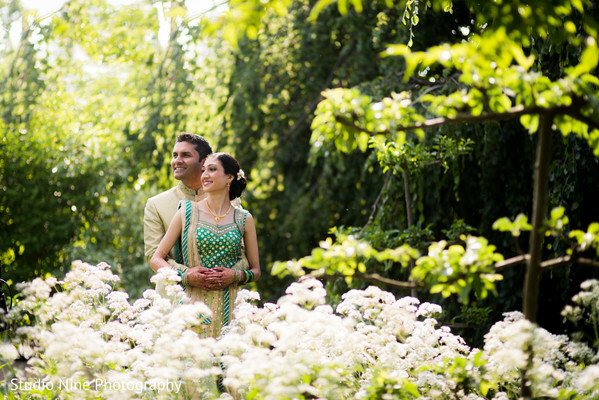 We absolutely love how the bride and groom color coordinated their outfits to match the lush greenery of their flora and fauna state. 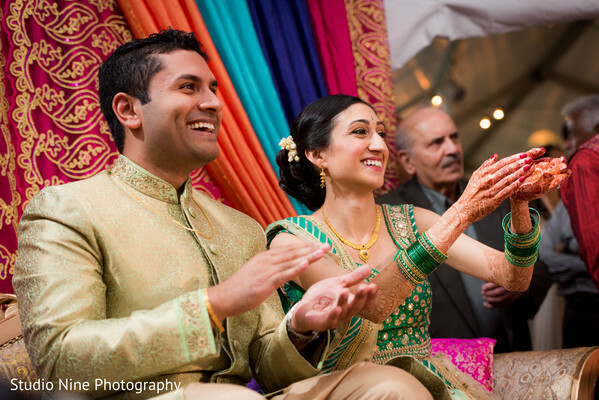 The venue was jam-packed with party guests and we can only wonder with so much excitement, how any sleep was to be had that night. 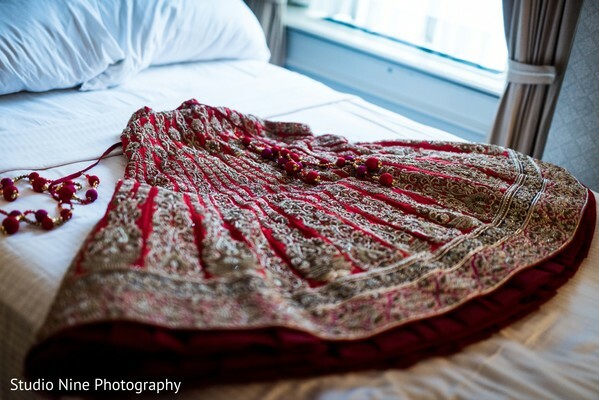 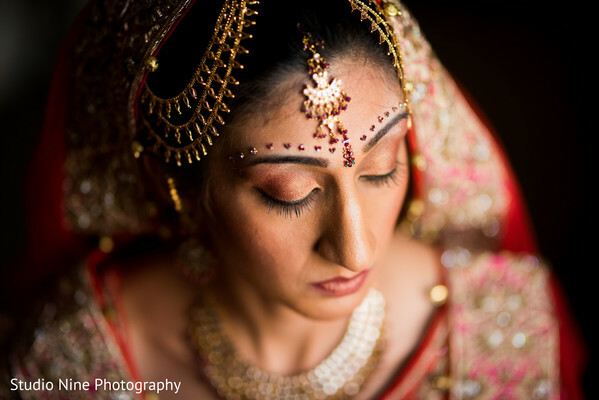 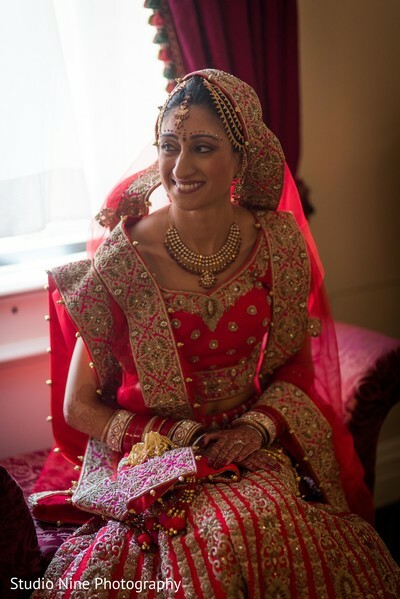 The next morning, the bride brought out her red and gold wedding lengha that was both traditional and glamorous and was such a complimentary fit for her beautiful mehndi designed by Diva Mehndi Arts. 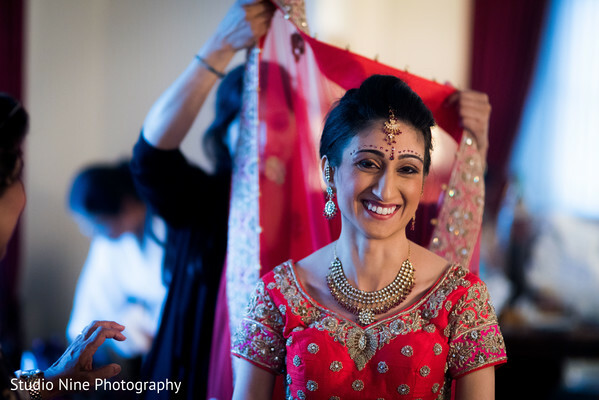 One of the most treasured moments of the day had to be the first look with both the bride and groom just glowing with love! 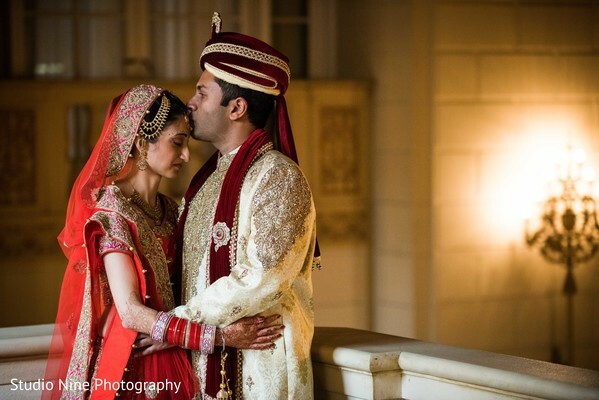 Get lost in all the charm in our gallery with Studio Nine Photography behind the lens capturing every shot. 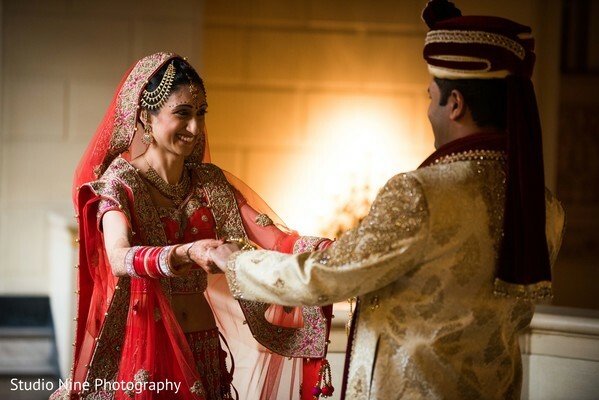 You won’t want to miss a beat as we have the wedding and reception party with Planet DJ Productions on the turntables.